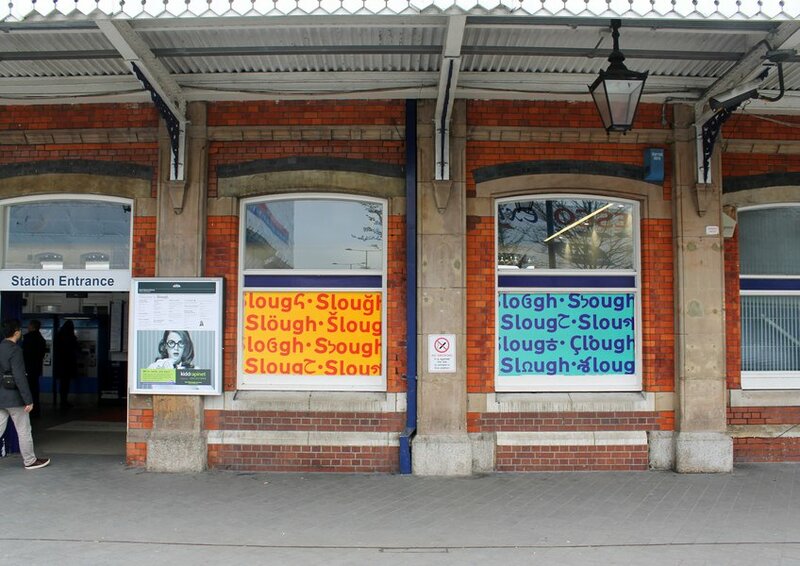 Slough was recently dubbed 'Immigration Town' by the BBC and is commonly misrepresented. 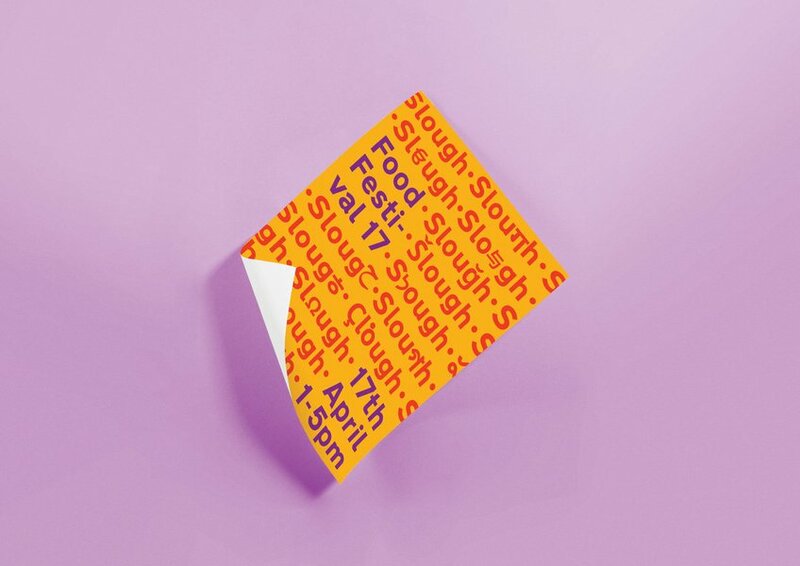 There are over 150 languages spoken in Slough, with many seeing the rising rates of immigration as it losing its identity, we feel this is what gives it it's identity. 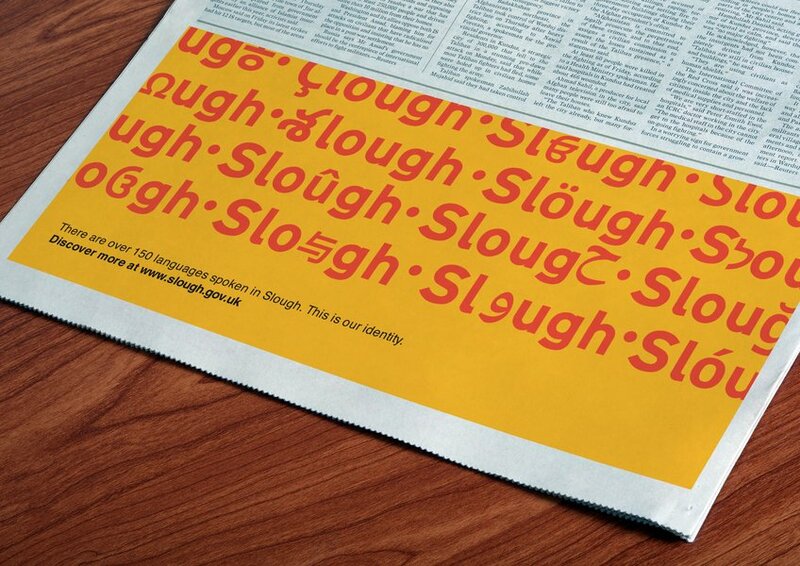 With Slough being a town built along the M4 we used the typeface Transport and combined it with Google's and Monotype's Noto typeface to incorporate the different languages. We created a colourful identity showcasing the spectrum of languages by integrating them into an adaptive and responsive logo and identity, highlighting the diversity of 'Immigration Town'.